With three convenient locations, our dental services are never far away. Request a dental appointment today! Whether you are in need of serious dental work like implants or periodontal treatment or simply need a check-up, we can help. With three locations and numerous dentists, we have a team of professionals who are ready to treat you. Our dentists are incredibly skilled and you are in amazing hands no matter which location or doctor you see. However, if you are in need of specialized services including dental implants or periodontal treatment, we will refer you to Dr. Ira Port (at no extra cost). As our periodontist and implantologist, Dr. Port has placed over 19,000 implants and is one of the best dental implant specialists in the state. We have been creating beautiful smiles for our patients since 1981. The skills, experience, and commitment of our dental team, combined with today’s advanced dental techniques and materials ensure your extraordinary results.  Our professional team takes the time to understand all of your medical conditions – including diabetes, multiple drug interactions, cardiac abnormalities, and infectious disease – and will reach out to your doctors and specialists if necessary to be sure your medications and any special needs are addressed before any dental procedures are undertaken. Our dental hygienists understand the emphasis we place on preventative dental care and are skilled at providing comfortable and thorough cleanings. At each appointment, they review brushing, flossing and other tools to aid in good oral health. After your cleaning, one of our doctors will come in to perform an oral cancer screening, comprehensive exam, and a review of your digital x-rays. Regular dental exams are vitally important for detecting early signs of gum disease, cancer, cavities, and other changes your oral health may be undergoing. Having a beautiful smile may be easier than you think. 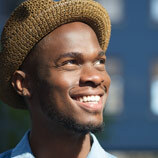 Many patients achieve their dream smile with our simple teeth bleaching procedure. Our in-office Boost Whitening System provides the strongest tooth bleaching power available in the market. We also offer a take-home teeth whitening option. Our goal is to provide dentistry that is undetectable. We replace existing crowns and fillings with restorations that look and feel like your natural teeth.  We are renowned for the quality of our work. It is usual for these treatments to last 15 to 20 years. This is a perfect option for people who have noticeable metal fillings. Porcelain veneers are thin shells of ceramic that bond directly to the front surfaces of your teeth. They are an ideal choice for improving your smile. Placing custom dental veneers requires a high degree of technical skill as well as attention to cosmetic detail. We place veneers routinely and design each case individually to match and enhance the characteristics of your smile. Bonding is an alternative to dental veneers and can be used as a restorative procedure for teeth that are chipped, cracked, discolored or misaligned. Bonding can often be completed in a single office visit and can significantly improve the appearance of a tooth. Dental bonding typically lasts three to five years before needing repair. 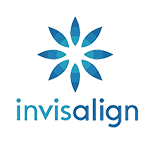 Invisalign® is a type of clear, invisible braces that act as an alternative to traditional metal braces. Computer generated clear braces aligners are virtually invisible. They straighten your teeth and are removable for easy cleaning. A crown is a tooth-like covering placed over a carefully prepared pre-existing tooth. Dental crowns serve many functions, including strengthening, restoring or improving the appearance of your natural teeth. A crown may also be used to protect the structure of a tooth that is fractured or broken, and can be attached to a bridge or denture. We only use metal-free zirconia crowns, providing a stronger, more durable, life-like result. We are a mercury-free dental practice. Composite resins, or bonding, create fillings that are not only beautiful and often unnoticeable, but also add strength to weakened teeth. These restorations are aesthetically pleasing and very strong. Highly effective in preventing decay on the biting surfaces of your chewing teeth, sealants are a simple procedure in which a tooth-colored acrylic “coating” is painted onto the surface of the tooth. This effectively “seals” the deep grooves where decay is most likely to start. A root canal is a dental treatment used to remove an infection from inside your tooth and is usually your last chance to save the tooth from extraction. Sometimes it is better to extract your tooth and replace it with an implant.  We will review what treatment option is best for you. A dental bridge — a device used to replace missing teeth — attaches artificial teeth to adjacent natural teeth. A bridge is cemented, as opposed to removable partials or dentures. A partial denture is a prosthetic device used to replace several missing teeth. It consists of a thin metal framework that holds plastic denture teeth that are set in pink acrylic to resemble gum tissue. The device is made from a custom mold of your mouth. A special type of partial denture called Equipoise is used in our dentist’s offices to minimize damage to the anchor teeth. Periodontics is the branch of dentistry devoted to saving your teeth. In our practice, you will be examined for gum disease by one of our general dentists and again by a dental hygienist. 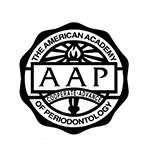 If there are periodontal problems you will be referred (at no cost) to our periodontist Dr. Ira Port. 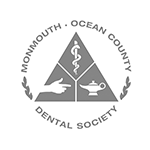 Our dental practice provides a variety of surgical services. We are very conservative in our treatment recommendations and limit surgery to the areas where it is absolutely necessary. Periodontal treatment procedures are available to regenerate the bone and gum tissue to their original function and cosmetic appearance. 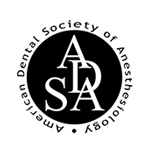 Nitrous Oxide is available for all procedures at no additional cost. Periodontal disease is caused by bacterial plaque and tartar growing on the roots of your teeth under your gum line. Over time, the bacteria eat away the supporting bone. If left untreated, this bone loss will progress until your teeth are lost. It can also challenge your immune system impacting diabetes and your cardiovascular system. Bone grafting can reverse this damage and rebuild your jawbone. Periodontal root planing and scaling are used to treat early to moderate gum disease. Advanced cases require surgical treatment to retain your teeth. The tooth roots may also be planed to smooth the root surface allowing the gum tissue to heal and reattach to the tooth. When gum recession is severe, gum reconstruction using grafting techniques is an option. In our offices, soft tissue grafting is done using engineered tissue so you won’t need a second surgery to take your own tissue. The procedure is highly predictable and results in a stable healthy band of attached tissue around the tooth. Crown lengthening is available to prepare a tooth for restorative dentistry treatment or to cosmetically enhance your smile. Crown lengthening might be indicated if your front teeth are too short or of uneven length. 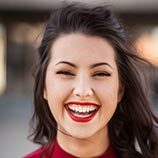 Crown lengthening may also be used to correct what’s commonly referred to as a “gummy smile;” when the gum line appears to be creeping down over the teeth, making them appear short. When decay occurs below the gum line, it may also be necessary to remove a small amount of bone and gum tissue before making a new crown for your tooth. At our dentist office, crown lengthening can be offered as both a cosmetic dentistry treatment and a general dentistry procedure to remove decay. Dental implants provide a foundation for replacement teeth that look, feel and function like your own natural ones. The dental implants are tiny titanium posts that are placed into your jaw where you have missing teeth. During a healing period of three to four months, your jaw bone bonds to the surface of the implant. This biologic connection formed by your implant prevents further bone shrinkage and preserves your appearance. 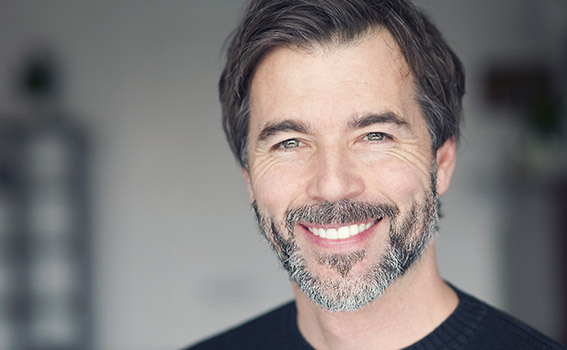 When you visit our dentist office for dental implants, you can rest easy knowing you have access to an incredibly experienced implantologist in the area. In fact, Dr. Port has placed over 19,000 dental implants since 1984 and our general dentists, Drs. Cohn, Garland, Griepenburg, and Oliveira have extensive training and experience in restoring implants. 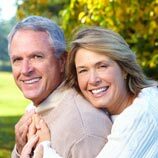 Discover the comfort, confidence, and feel of these natural life-like tooth replacements.